I'm trying to make eggless choux pastries for an egg-allergic friend (my eventual targets are croques-en-bouche and saint-honorés). I have experience with choux pastry, but I've never made an eggless version. I'm following the recipe at https://www.gretchensveganbakery.com/vegan-eclairs/. Well, that didn't work great. The gooey bottom eventually does dry up after a few hours, so it's not too bad, but that paper-thin top is miserable. 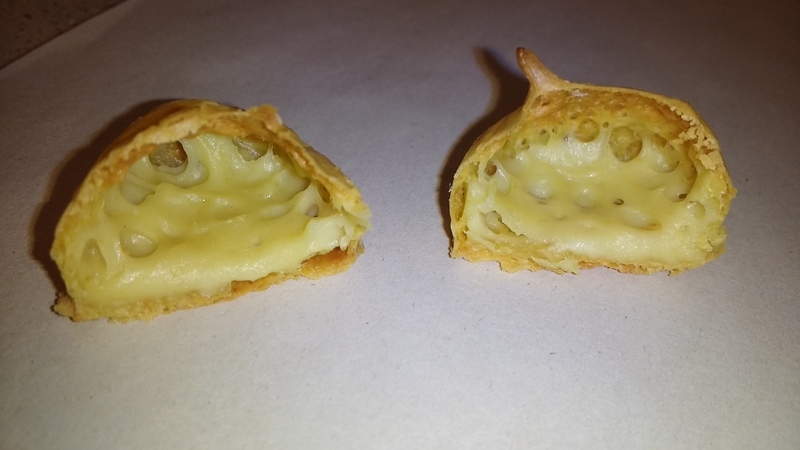 The problem doesn't seem to be specific to the particular recipe I picked: I get the same results, more or less, if I use my regular 2-1-1-2 choux pastry recipe, and use egg replacer. All of my attempts ended up very similarly: a gooey bottom which eventually dries up (it gets fairly compact and doughy, but the taste is OK), and a paper-thin dome. Browse other questions tagged substitutions eggs chemistry pastry or ask your own question. 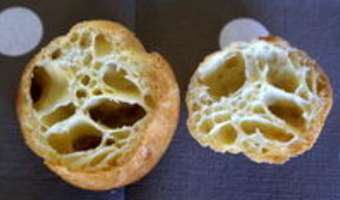 Can I make choux pastry with an electric hob? 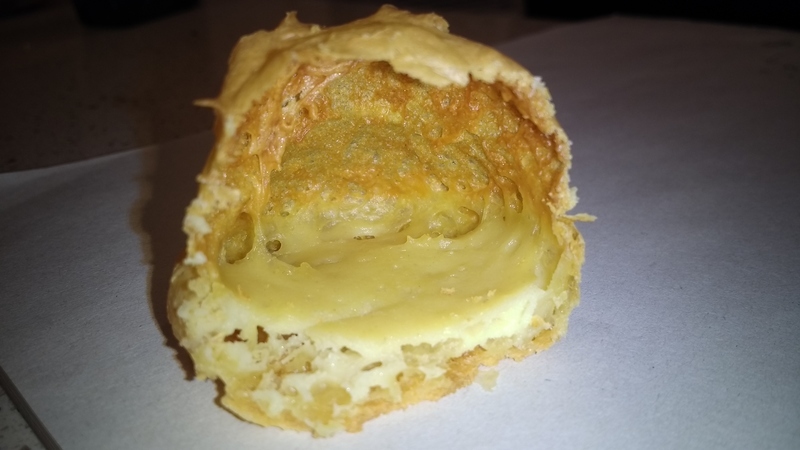 How much should I beat choux pastry for optimal rising?